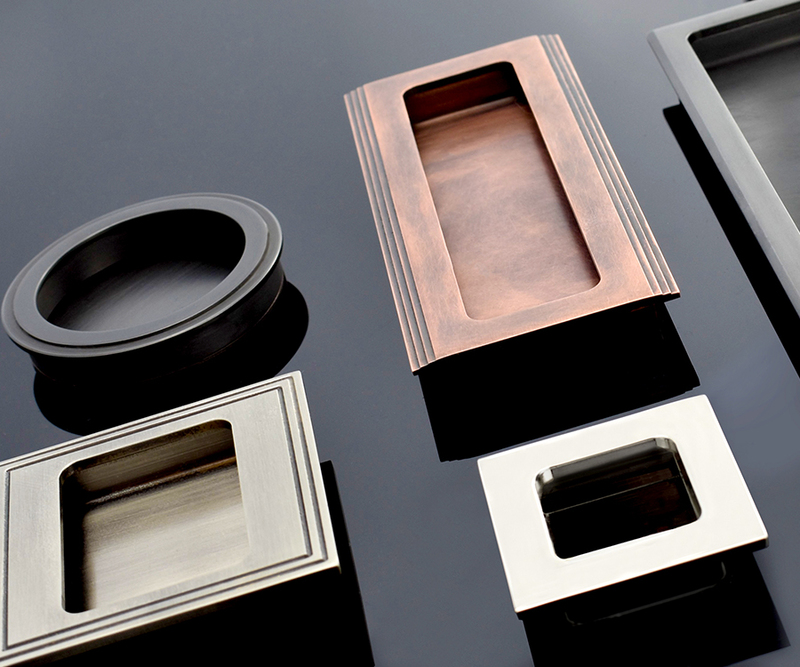 New from Henry Blake Hardware are the half moon collection of cabinet pulls. Available in both hammered texture or smooth. 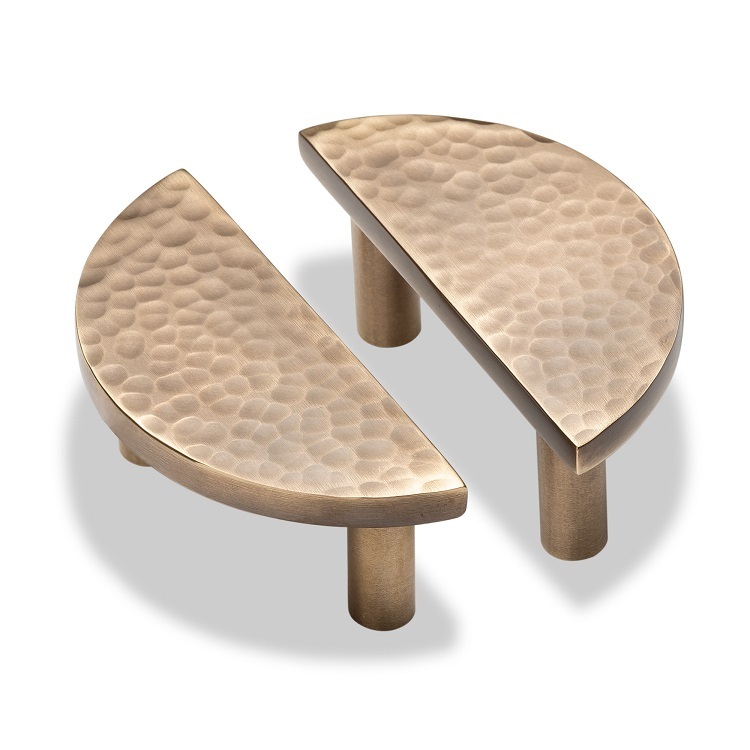 These solid brass pieces look perfect when fitted as a pair on your cupboards or equally as nice as a drawer pull. .. This latest collection of sliding door hardware comes in various sizes, finishes and functions. 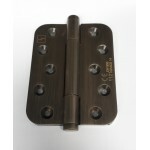 Ideal for sliding flush doors, sliding bathroom doors and jib doors. .. Even though the industrial revolution was over 200 years ago, we are still inundated on requests for clients looking to create that industrial feel. 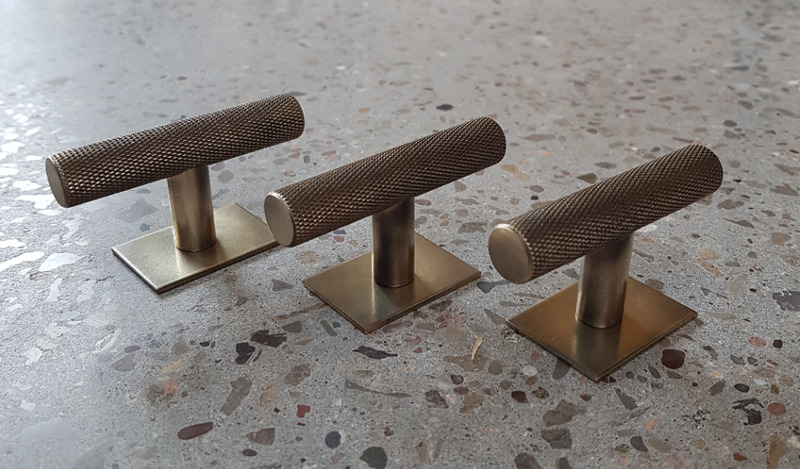 The New York City Apartment look is well and truly in full swing in London and these Solid Brass Knurled Door Handles compliment this type of project to a tee. 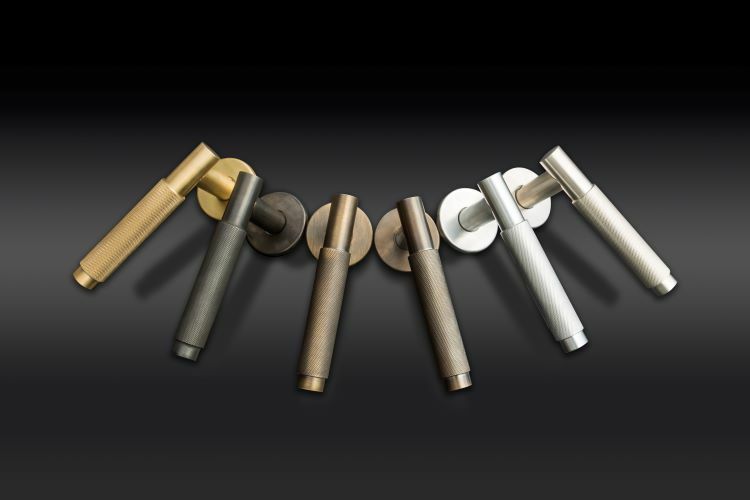 Available in many finishes from satin nickel, dark bronze waxed, satin brass and antique brass to name a few, these contemporary lever handles come on a 6mm tactile rose which when fitted, gives a more minimalistic presence to the door. Fully co-ordinated locks, bathroom turns, cabine.. 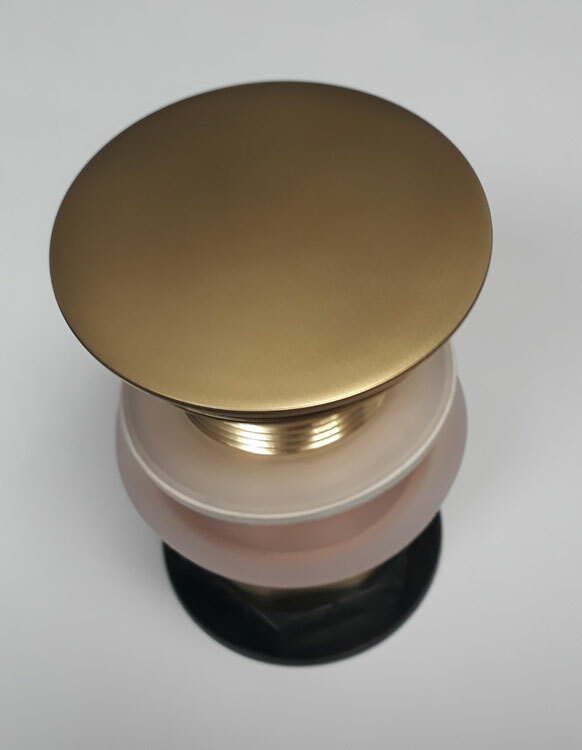 Custom work is where we excel and here we have some knurled T Bar cabinet handles mounted on a plain flat backplate, finished in an antique brass waxed colour. ..
As a recognised supplier and specifier for ironmongery within the commercial sector we always ensure the correct hinges are used for the correct doors. We recently supplied The London 5 star 'Stafford Hotel' with their ironmongery on the newly refurbished rooms for which many doors were fire rated. In an antique brass finish and with built in intumescent pads these High Performance Concealed Bearing Hinges fitted the bill perfectly. Feel free to call one of our specification team on 01386 48993 to ensure you are using the correct product for your next project. ..
We recently got asked to supply some art deco inspired pull handles to a high end residential project where we worked closely with the interior design team from start to finish. Finished in a hand applied dark bronze with a besswax finish these pull handles look stunning and are just what the client was wanting. 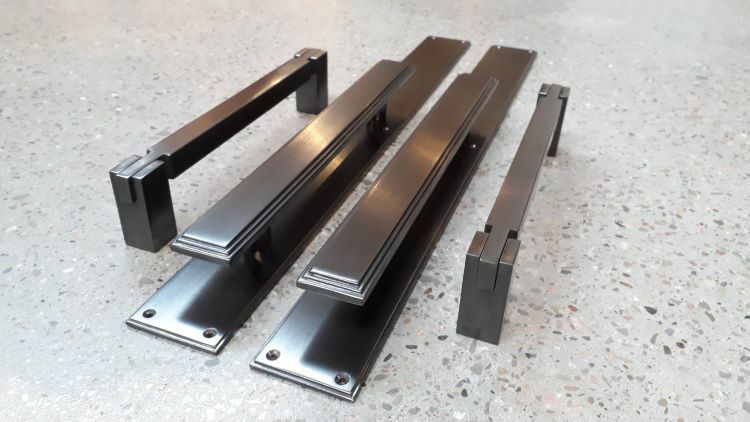 Custom finishing is just one of the things we can offer at Courtyard Architectural Hardware along with designing bespoke sizes or items to complete the design brief, please get in touch to discuss your next project. ..
Aswell as providing a quality range of door hardware and ironmongery we also specialise in the sourcing and finishing of wastes for kitchen and bathroom sinks. The rocky mountain collection of bronze sinks often require careful consideration when matching up the correct wastes. 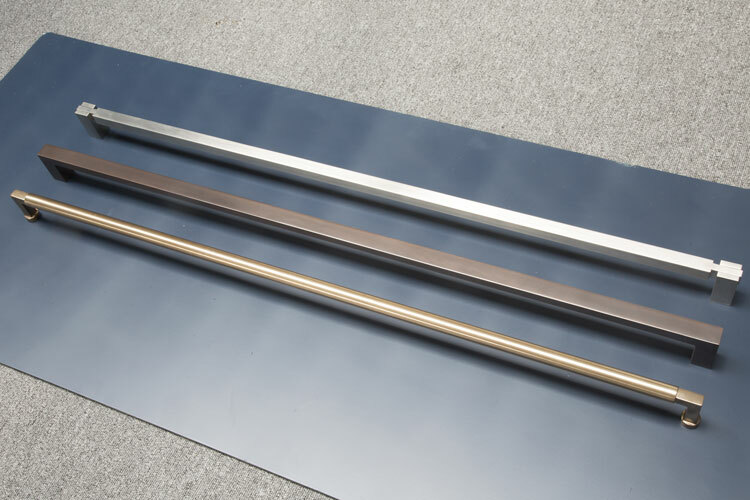 Shown here is an antique satin brass waste to compliment a solid bronze bar sink being manufactured for a private Kensington Residential Property in London. ..
We are proud to be the UK representatives for Pullcast Hardware. 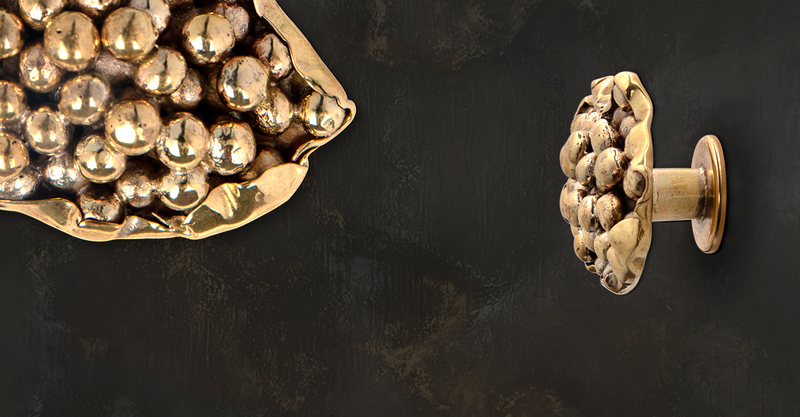 Made in Portugal from Solid Brass this designer range of Jewellery like hardware is the perfect answer for those wanting to specify organic designs on their bespoke or custom joinery. The latest collection 'Skyline' takes the whole Art Deco concept to another level in door hardware. 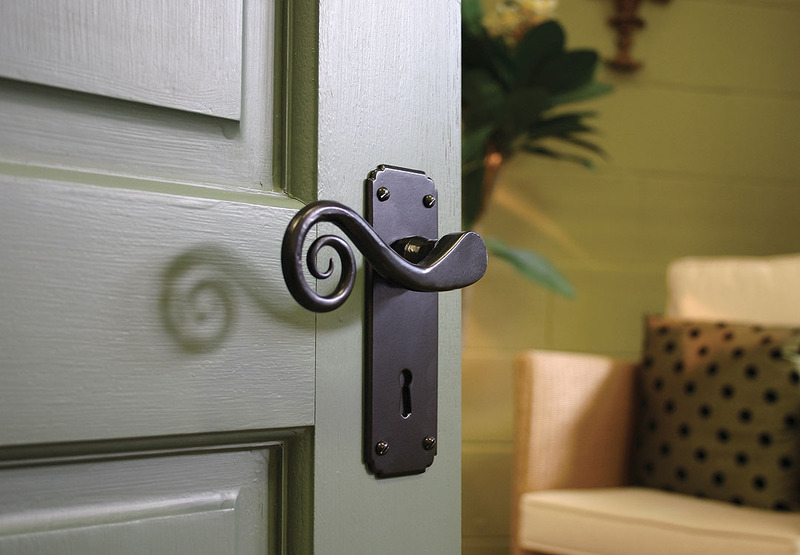 Contact us to discuss this beautiful, hand crafted range of door and cabinet hardware. ..
We were recently asked to supply some of the latest Flat Bar Handles by Henry Blake Hardware to Mowlem and Co on The Kings Road in London. 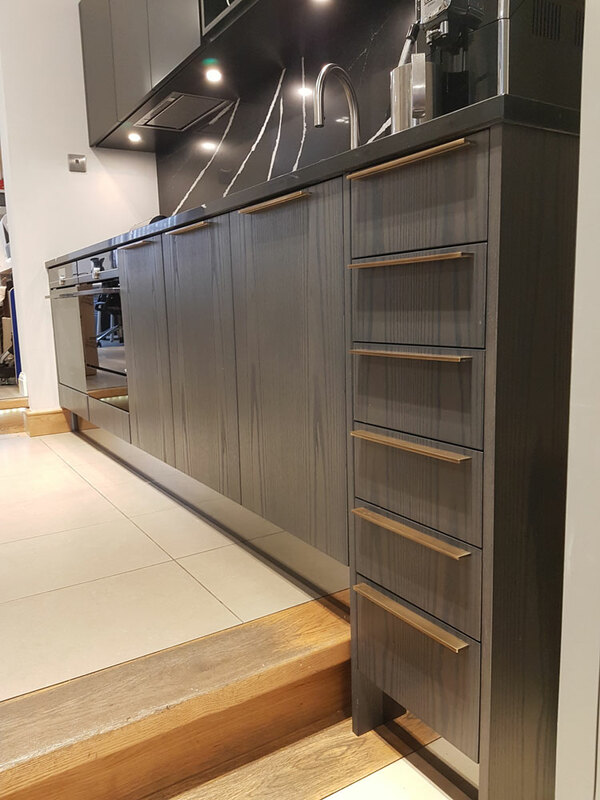 Mowlem & Co have been crafting bespoke kitchens and furniture for more than 25 years in Newcastle and London. Every element of their award-winning work is designed, entirely handmade, assembled and finished, using only the very finest of carefully selected materials. ..
Not only do we supply and manufacture some of the most cutting edge contemporary lines of door and cabinet hardware, we also specialise in the supply of traditional antique black and pewter hardware. From Thumb latches, T hinges, Gothic door handles and black gate hardware we can source from all the leading brands such as From The Anvil, Kirkpatrick, Ludlow and The Tudor Collection. Whether you are preparing to undertake a project on your own cottage or on a listed public house or restaurant, we will have the knowledge and products to ensure you get the specification perfect and within budg.. Pull handles are our thing and we can bespoke manufacture many of our long pulls are various lengths. Here is a selection at 1000mm long. Available back to back and at custom sizes in bespoke finishes, contact us for your bespoke and custom pull handle requirements. 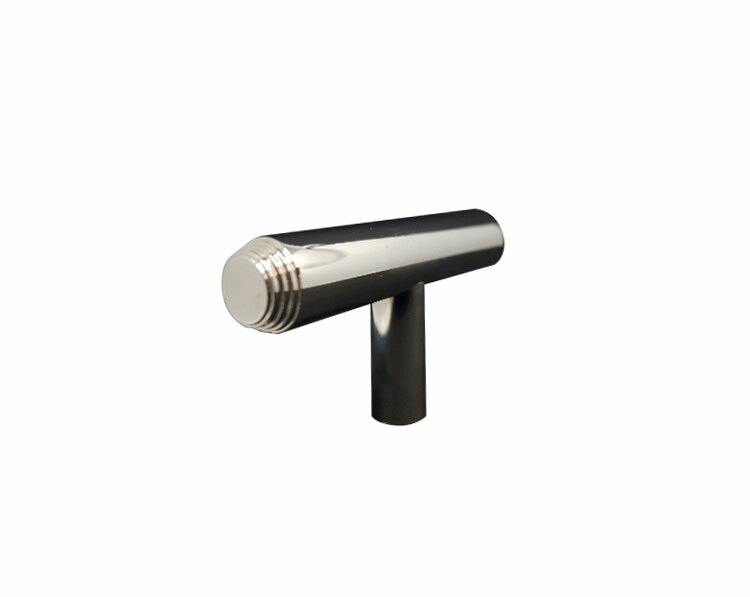 ..
We have now introduced a deco end T Bar to compliment our popular deco end long pull handle. Available in all our beautiful finishes including the hand applied antique brass and dark bronze. 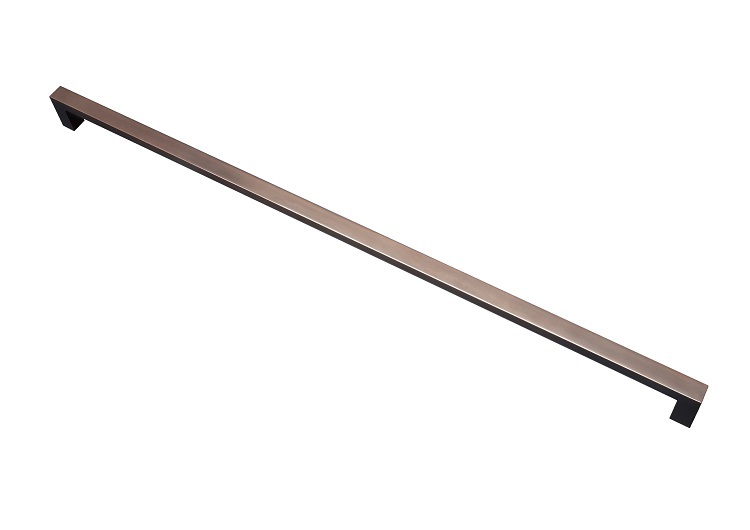 ..
We are now offering many sizes of the long pull handles by Henry Blake Hardware. Available in many finishes and bespoke lengths upon request. Click here to see more information. .. 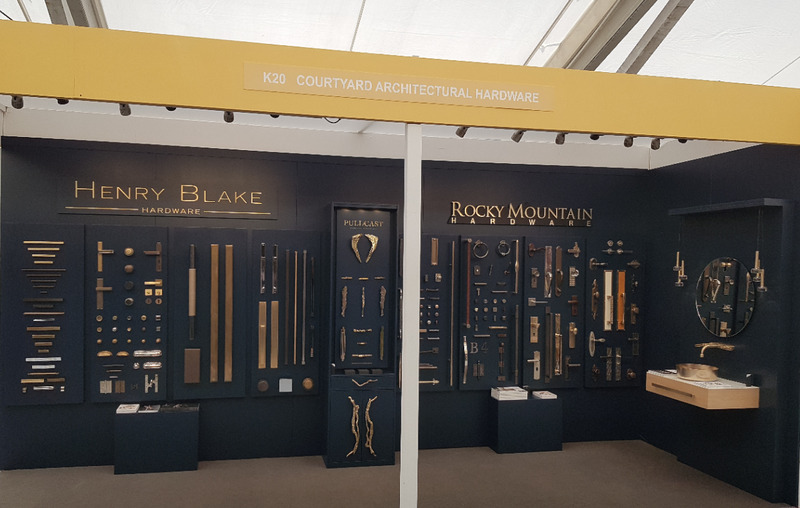 The hard work has paid off with our 2018 Decorex exhibition stand. Promoting Henry Blake Hardware, Pull Cast and Rocky Mountain Hardware. ..